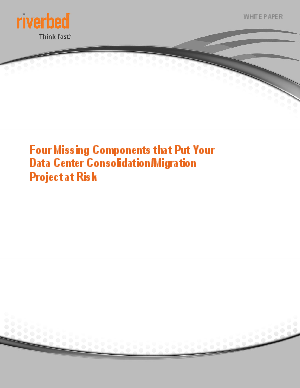 Data center consolidation and migration projects are fraught with risk. Specifically, there are four components that many organizations lack today, which significantly increase the risk of these projects: dependency information, usage information, change impact information, and post-change problem identification. Network Behavior Analysis (NBA) systems can help you address each of these, and significantly reduce your risk by automating and improving the planning process and minimizing disruption during implementation. Download this white paper to learn about how NBA can provide organizations four key capabilities they need to improve data center consolidation and migration projects and minimize their risk.